I use Diesels crate as a storage area for his dog food, food bowls, lead and ground lead, bones, toys, and treats. First thing when we arrive at our campsite I take the crate out - empty it and insert the ground lead into the ground. I then attach Diesel to the lead - now I am free to get the campsite ready while Diesel is secure and safe. When camping with your pet make sure the campground you are planning on staying at is Pet Friendly. 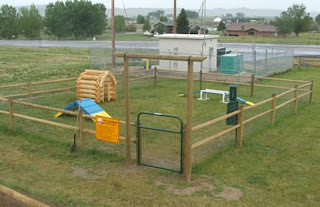 KOA campsites are pet friendly and many have a enclosed pet park that allows your pet to run free and play. To us having a area for Diesel to run is very important to us. 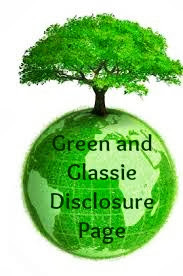 We are planning on staying at KOA Campgrounds for our Yellowstone trip. 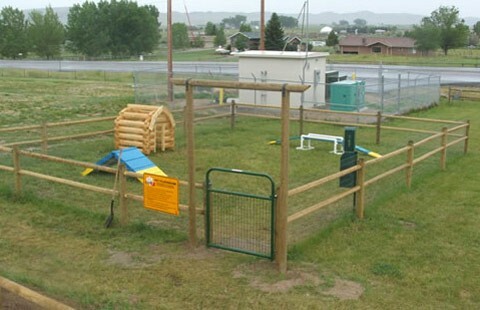 This is a pic of the dog area at the KOA campground in Cody, WY. Perfect area for Diesel to play and run free while enjoying himself camping. I have never camped with a pet, so that list is super helpful. I would have forgotten half of those things. I have never camped with a pet either..sheesh they need a lot of stuff! I would be scared of bears around the pups.. guess they would let us know in a hurry if there was a bear in the area. I think my dog would love this, and would need to keep watch over us, I'm sure. I've never camped with or without a pet, but I'd want mine by my side. I would probably have enjoyed camping more if we had brought our dogs with us! This is a great list! I bet it would be fun to have a dog while camping. This looks like a great list of must have's to bring. What a great list!! Doggies need to be taken care of too! I would definitely have to bring the pets when camping. It's so nice when places accommodate for pets! 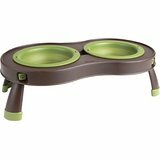 I really love the idea of the collapsible dog dishes! That would be such a great space saver especially while camping! I have never taken our dog camping. 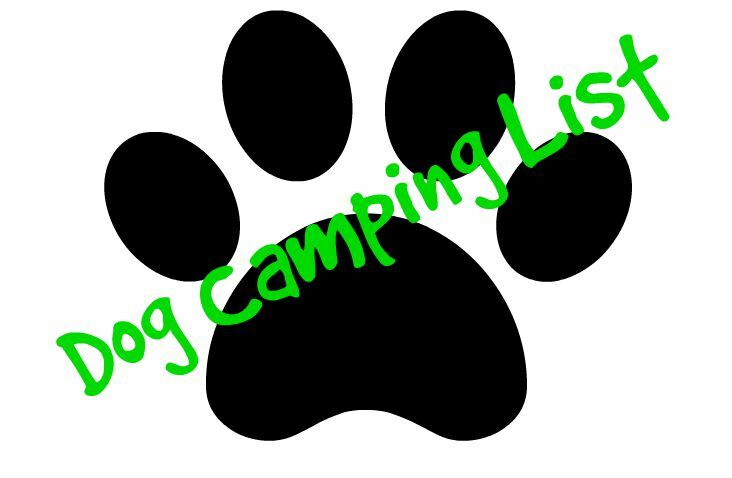 Looking at your list it seems that taking a dog camping is just as complicated as taking a person camping. So neat he went camping with you.Great list of what you need to take for him. Your pooch is so adorable! Our dog loves to go camping with us, too. We live in the south, so he's free to run where we go camping. There are no cars around for miles. That is a fantastic idea. I don't know why I never thought of camping with the dogs before! Your dog is adorable. I hadn't considered that some campsites aren't pet friendly! These are great ideas and tips. This is a great list. I don't have any pets, but if I did I would take them camping with me. I so want to go camping. I grew up camping and I loved it. I wish I would've read this list a year ago. We tried to take our dog camping and it was terrible!! It's like camping with kiddos, it's best to be prepared right? Cool list! I wish we would've tried camping when we had pets! Our dog would've loved it! 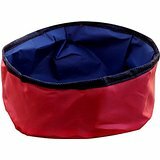 We have been talking about going camping this summer and candidly though we would take our Bulldog it was not until reading this that I really considered how much stuff we'd need to take along. Thanks for doing the planning for me! These are awesome tips for camping with a dog. I would certainly bring my dog for extra protection in the wild! Thank you for this! I have been wanting to take the dogs on more trips with us. I hate leaving them with my mom and we really can't afford to pay for house sitter or take them to a kennel. My mom doesn't mind, but I know they are a lot of work for her. This is a great list for those who like to get outdoors with their dogs. Mine are too wild to let run free, otherwise the idea of camping with them would be awesome! We've taken our pets on road trips, but not camping. I think, like people, a few comforts of home make it an enjoyable trip. A few squirrels to chase couldn't hurt! We used to take our dogs camping with us. It is great for the dogs as long as they are friendly. There are always a lot of kids that want to come up and pet them. Just adopted a dog so these tips will come in handy. Next trip is Sept 18th. I don't do camping (horrible memories of Girl Scout Summer Camp as a kid), for me camping is a five star hotel nowadays! LOL - But that collapsible bowl set is BRILLIANT! 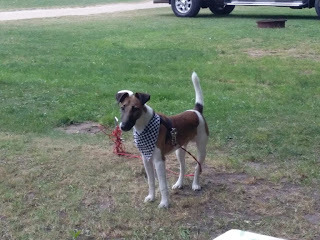 I think camping with a dog would be just as much work as camping with a small child id most likley need a vacation after. I don't know that I would have thought to bring our dog with us camping. I suppose if there is a pet friendly campsite, that would make it easier. Great post! We like to take our dog on trips with us when we can. My husband has been planning a camping trip. This post couldn't be more timely! I don't have a dog, but my sister does. I am going to forward her this awesome tips! I love the idea that life isn’t complete out there without a camping. I love going camping and did for years when the kids ere small,nothing better than the great outdoors.